Our cartographers can produce stylish and detailed plans of your university campus, demonstrating the layout of its various buildings and departments. From conducting ground surveys and creating floor plans to illustrating your campus in 3D, we will help visitors and newcomers to find their way around. Showing also the surrounding road network, other transport options and amenities, and with an easy-to-use index, our maps allow individual departments to present their facilities clearly in the context of their location on the wider campus. 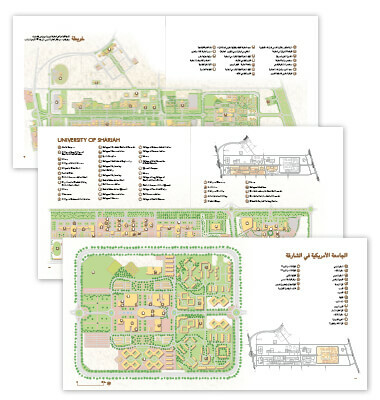 Our maps are available in multiple languages and a variety of digital and print formats.